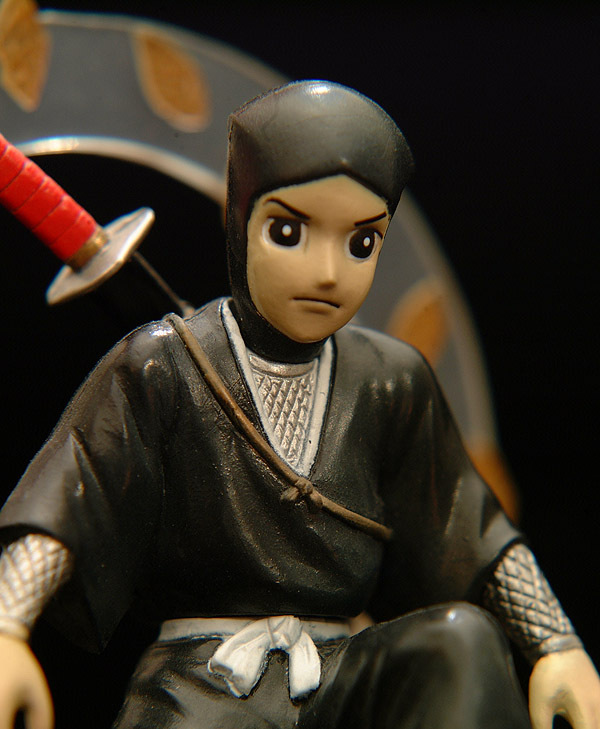 Going back ot the early 60’s, Mitsuteru Yokoyama‘s Iga no Kagemaru property spanned manga, a great live action movie, toys, trading cards and board games, and anything else that could bear a licensed image. You’ll see this shinobi superhero in just about every category on this site. 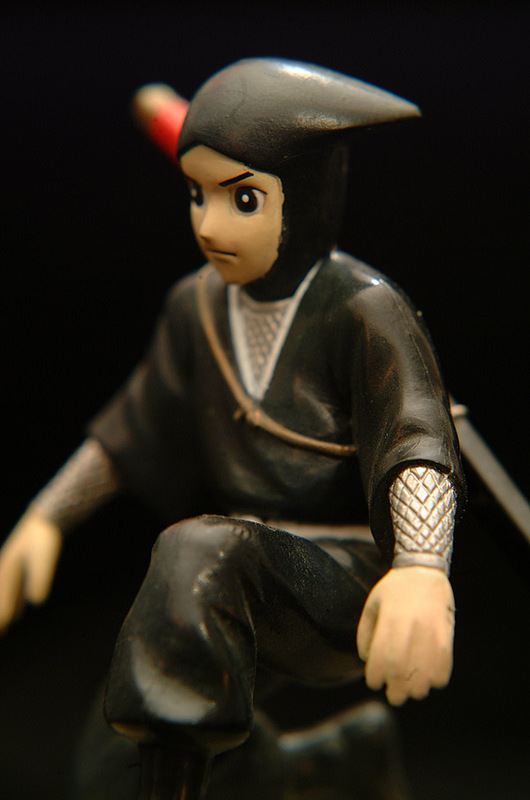 Here’s a 2004 retro-collectible from Japan’s Furuta capsule and blind-box toy manufacturer. There’s not nearly enough nostalgic toy licensing in Japan – there should be a whole line of figures of this character, his allies and the amazing rogues gallery of villains. Movie likenesses too. 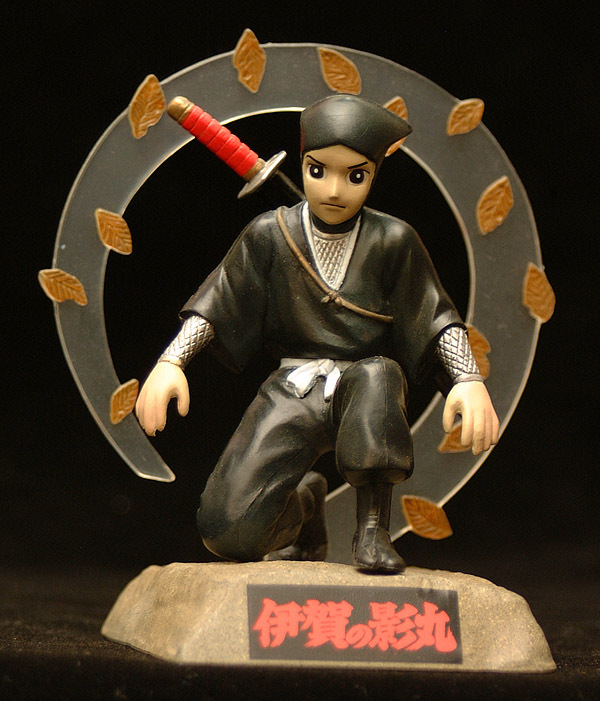 This piece is a representation of the manga version, complete with diorama base depicting his signature whirlwind leaf defense. He also came with a variant un-hooded head, of which I promptly lost track. 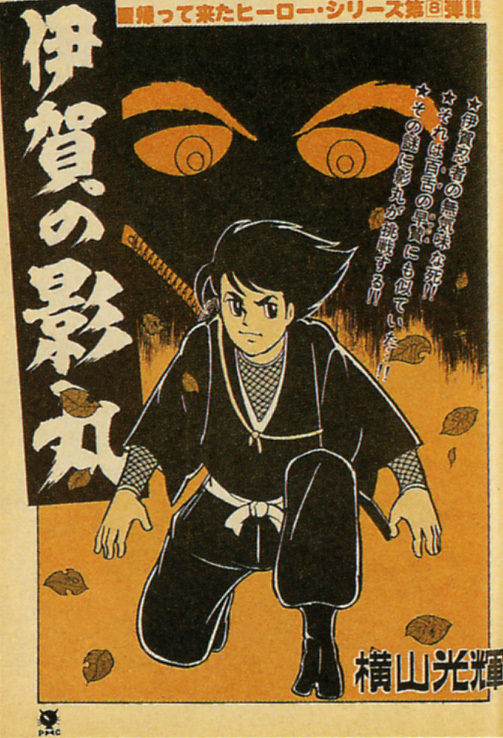 Lots of Yokoyama’s manga cover art just added to Books and Manga, too!